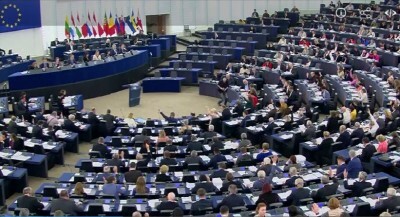 3 EU Parliament votes to boost EuroGroup ! After EuroZone Paris Summit's succes, Sarkozy calls to "think anew how to re-construct Europe ! 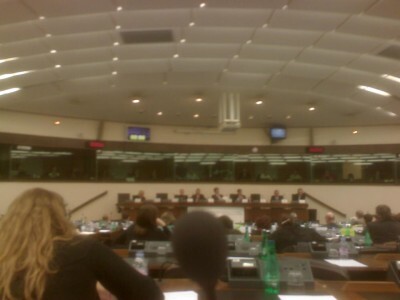 "EuroZone and EU Institutional debates pave the way to 2009 discussions on EU Future, including Enlargment, Turkey etc. ? After EU Parliament strongly suppported in 3 successive Votes this week in Strasbourg French EU Chairmanship's move to boost Euro-Group at EU's core, while ideas on EU Institutional problems are awaited on December, "it's an open Question now" if this may lead to a debate on EU's Future, or not, told us French President, Nicolas Sarkozy''s Spokesman, Pierre-Jerome Henin. MEPs voted on Thursday fresh Funds to support EuroGroup, after adopting on Wednesday a Resolution asking a "further Evolution" to "the 1st ever meeting of Heads of State and of Government of the Euro-Zone, taking decisions in that capacity", while earlier this week a Report asked "a stronger Institutional setting" for "EuroGroup", extended from "competitiveness/industry" to "environment, employment and education", with "increased powers for Political decision-making", according to a text drafted by French MEP Francoise Beres and German MEP Werner Langen, "10 Years after the creation of Euro" (1999 - 2009). - Brussels' subsequent "EU Council ..(simply)..ratified the measures decided by EuroGroup on October 12" in Paris, which "were necessary to contain the current Financial Crisis", Resolution observes, expressing also support to the new process succesfully initiated by Sarkozy and due to be completed by agreements with USA and other countries at a Global level. On the contrary, EU's core launches a real "Economic Governance for EuroZone at the highest level of Heads of State/Government" of the 15, which started in Paris on October 12 and was strongly supported this week in Strasbourg by Sarkozy and EU Parliament. - "It's a good idea, to launch such a debate ("on EU's Future") in EU Parliament in view of 2009 Euro-Election : Perhaps some MEPs will seize an opportunity", told us mainstream French MEP Alain Lamassoure, former EU Minister and EU Spokesman for France's governing party UMP. - "All MEPs' debates on such EU Councils are also part of the larger debate on Europe's future : Now with EuroZone, and even more when, on December, Irish Prime Minister is due to table proposals in Strasbourg on how to deal with EU Treaty's ratification", replied earlier to our question EU Parliament's Press Director and Spokesman, Jaume Duch. Sarkozy has formally anounced his intention to open EU Debates on Economy, Identity/Enlargement (i.e. mainly Turkey), etc. both linked to a popular Political view of Europe, since his Historic speeches on EU in Strasbourg, on February and July 2007, when he stressed that "Europe needs a New Renaissance". 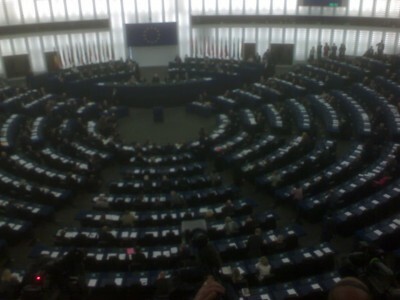 At the beginning of the French EU Presidency, on July 2008, replying to a MEP, he suggested that EU Parliament takes an active part in Debates on EU's Future. - Now, in 2008, "Crisis are an opportunity to re-think how to re-construct Europe", Sarkozy stressed. At any case, the Historic 1st EuroZone Summit of Heads of State/Government, which started replying to the Financial crisis,"is a Turning Point : After that, Europe cannot be governed as before, but differently" : People "like a Europe with Strong Will". - "We must make the System move ! 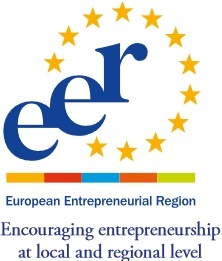 ", "Europe needs Innovation" and free political debates. EU "Elections are in a few Months", Sarkozy warned. He invited EU Parliament to fully play its role as "the Democratic Heart of the Europe we want : United, Independent and Voluntarist, because the World needs Europe's voice". - "It's no more possible for Euro-Zone to continue without an Economic Government" at the Highest Level of Heads of State/Government, who provide "Democratic Legitimity" and can take important decisions, he announced, strongly supported by EU Parliament's Economic Committee which just voted to boost the "Institutional" aspects of "EuroGroup". Plasticity offered by the current absence of a special Treaty on EuroZone's Institutions "made it easy to adapt the organization of the 1st Summit with imagination, to efficiently meet urgent needs", he observed, on the occasion of Brittish Prime Minister's exceptionnal presence at the greatest part of EuroGroup's Paris Summit. - "In EuroZone we have the same Bank, the same Money, and, thus, a same duty for Unity" : "By bringing together EuroGroup's 15 members States we suceeded to find a solution and prepare a Giant Plan of 1.800 Billion euros", Sarkozy reminded of Paris' 1st Historic EuroZone's Summit. Afterwards, Brussels' EU Council followed the move, and USA's Paulson II Plan was inspired from that. "Europe must promote the idea of Global Economy's Refoundation", he stressed. - "I was frankly astonished when I found, at the EU, a rigid system, where any New Idea was seen from the outset as a sacrilege, while, on the contrary, Europe needs Innovation ! ", he described. F.ex. ,"'When we first spoke about the "Union for the Mediterranean", it was misunderstood as something extraordinary.. When later we had the Russia -Georgia crisis, it seemed against EU's custom to act "in the middle of August", instead of staying a passive spectator ! And when, in front of the Financial ciris, we gathered the 1st EuroZone Summit of the "15", some thought of it as a lese-majesté", he denounced. - But, by moving resolutely, "EU obtained the ...withdrawal of Occupation Troops in 2 Months ! ", reminded Sarkozy, observing that Russia "fulfilled its commitments", in the Georgian crisis, where a "disroportionate reaction" from Moscow followed a "totally inappropriate action" from Tbilisi's troops. "It would be crazy to reply by military means : EU should not become accomplice of another Cold War, imposed by lack of cool heads".. as he said. In future, "the creation of a common European Economic Area with EU and Russia, would also obtain a raprochment on our Human Rights and Democratic Values", added Sarkozy, in a statement which should logically be applied, a fortiori, to controversial EU "candidate" Turkey..
- "We (EU) can defend our ideas on respect of Sovereignity and territorial Integrity, on Human Rights and other differences ... without confrontation", Sarkozy stressed, on the occasion of Russian/Georgian conflict, reminding that : "we were only 2 steps from catastroph", when a Peace agreement brokered in Moscow prevented, at the last minute, Russian troops' advance towards Tbilisi. Clearly rejecting any "military solution to the conflicts", MEPs "condemn ..all those who resorted to force and violence". They denounce a "disproportionate military action", "as well as (an) unilateral decision to recognise the independence" of brekaway regions, "calling.. to respect the sovereignty and territorial integrity" of the concerned country, "and the inviolability of its borders recognised by all EU Member States". They warn that "EU must review its policy towards" a 3rd Country, "should . (it)...not comply with its commitments", and "stress that the withdrawal of.... troops from the areas ....is an essential additional step". EU Parliament "calls for the safe and quick return of refugees, (accepted by Russian President Medvedev) accompanied by the deployment of EU observers on the ground", and "regrets ...that ..EU Monitoring Mission (EUMM) is not allowed to enter the ...breakaway regions". Moreover, "It's important to ensure that persons and NGOs ..engaged in defending human and civil rights can operate". "Until ...all remaining issues (are) resolved..., and notably the continuing ...Military presence", "relations with the EU ..cannot be fully normalised", MEPS warned. As nobody likes to be accused to practice "Double Standards", this should be regarded as "Principles" applicable to any Third Country at EU's Neighborhood.. No ? - "When Financial crisis shook US and EU's Banks, without result from the 1st (American) Paulsen plan, it was the common reply of the 1st EuroZone's Summit, involving some 1800 Billion euros, which started a positive move in the markets, soon strengthened by the follow-up of the US Paulson 2 Plan, noted Sarkozy. - "Europe should not be only on the defensive, but, if necessary, know also how to take an offensive", he said, brushing away hesitationsto act on Economy: - "I'm for a refondation of Capitaliism, but against Speculators, who betray its values" : "Lack of Rules was profitable to speculators, Not to businessmen !" We must make sure to prevent any such crisis in future". "We, the rest of the World, cannot continue to bear the deficits of the 1st World power without saying anything ! ", the French President said, applauded by EU Parliament. All this needs "a New Global Governance", on which EU Parliament must debate. That's why "we proposed together with USA, several Summits from mid-November", to which G-8, enlarged to China, India a.o. countries, should participate. UNO's SG; Ban Ki Moon, the IMF, etc. Financial crisis lowered shares' prices even for healthy companies, sometimes to 1/3 of their initial price, so that strangers might buy EU industries for only a portion of their real value, and Europeans may wake up one day with their main industries sold out to foreigners ! That's one of the reasons for which EU should debate about creating "Golden Shares" for States to jointly take Strategic participations to help European Industries until the end of the Crisis, particularly against distording competition, he suggested, pointing at USA's 35 billion $ plan for American Car Industry. "We shall struggle for Europe to be able to build Airplanes, Ships, Trains, Cars, because we need a strong Industry", he concluded. As for the UK, "when Ireland announced that it would guarantee only Irish Banks, London City emptied from liquidities in 24 hours : It's the EU which helped to restore the situation, Not the UK alone ! 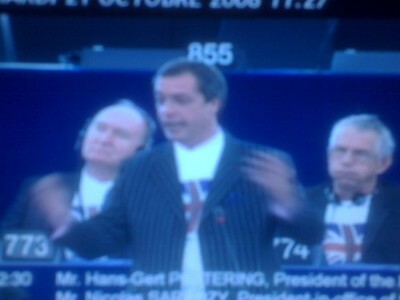 ", reminded Sarkozy to nationalist British MEP Nigel Farage. 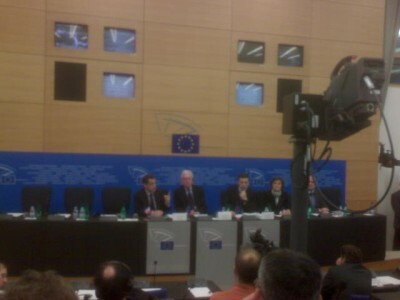 - "As long as Lisbon Treaty is not ratified by all 27 EU Member States, there is an unanimous decision to stop Enlargement, reminded Wednesday in Strasbourg the French Minister for EU affairs, Jean-Pierre Jouyet..
Added to an indirect but clear warning that, without Lisbon Treaty, all 27 EU Member Countries may not have a Commissioner in the 2009 resuffle, MEPS in the Constitutional/Foreign affairs Committees applauded hoping that this might motivate their Irish friends..